Get 10% off the price of in-house dining (alcohol and gratuity excluded) on the day of the show at Brelundi Ristorante (185 Crescent Street, Waltham, MA). One coupon per table. Must show ticket stub to receive the discount. Take a trip back to the glamorous nights in Las Vegas, filled with music and humor! 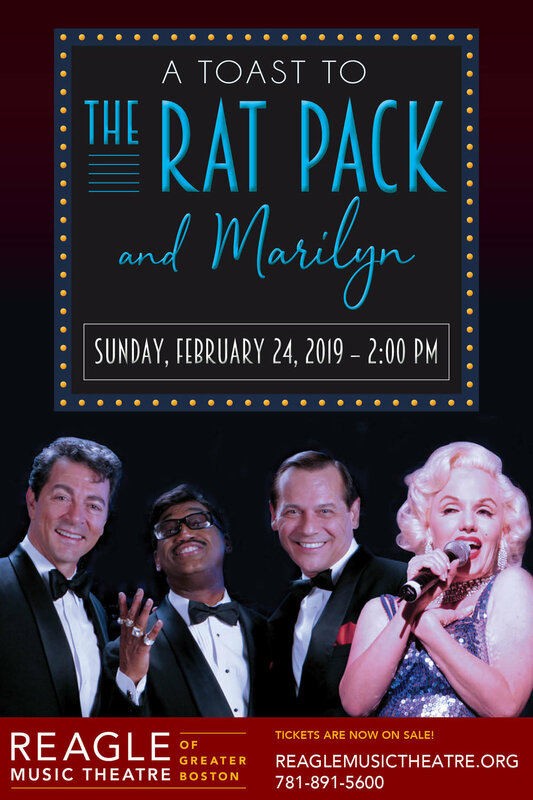 Guided by four talented performers playing tribute to Sammy Davis, Jr., Dean Martin, Frank Sinatra, and Marilyn Monroe, this production boasts hit songs like “Come Fly With Me,” “The Lady is a Tramp,” “That’s Amore,” “The Candy Man,” “Diamonds Are A Girl’s Best Friend,” and many more!